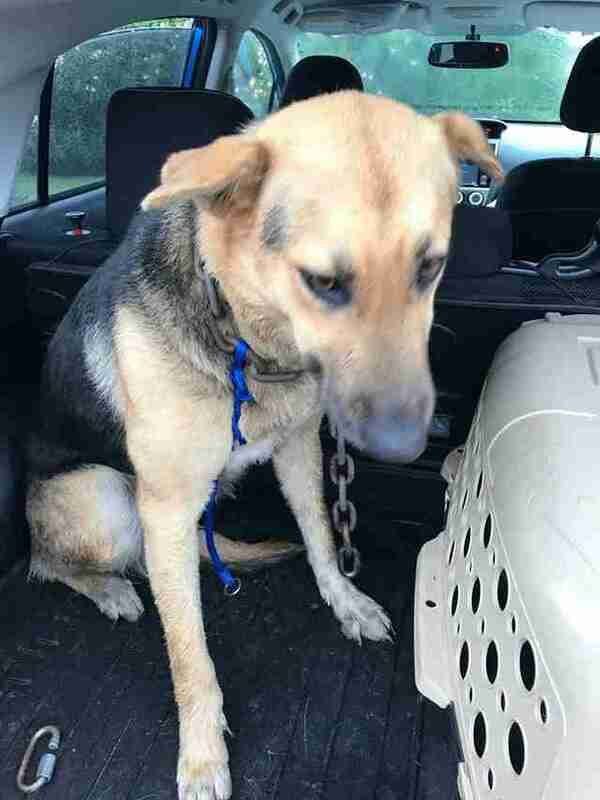 The German shepherd mix was standing on the shoulder of a four-lane highway bustling with cars. If she took just one step toward the road, she was going to get hit. 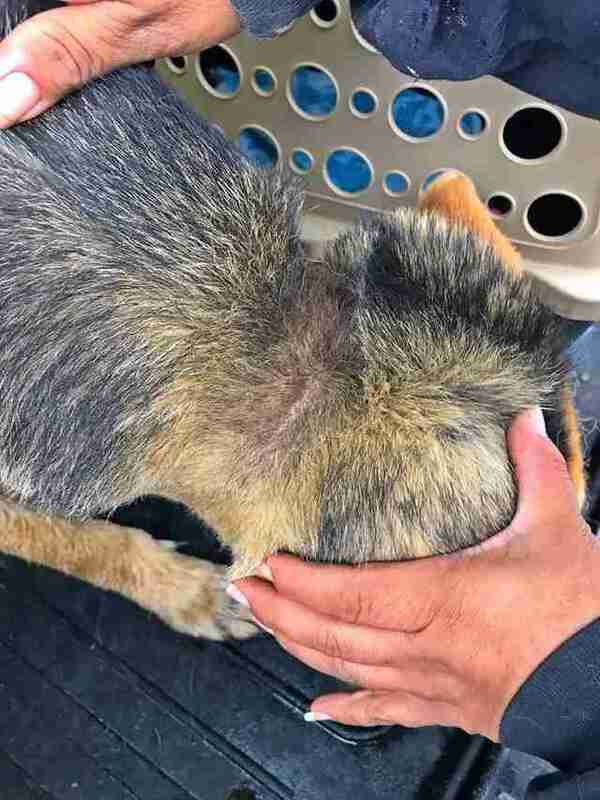 Ashli Garza noticed this stray dog as she drove to a work appointment in Mission, Texas, on Tuesday — and found herself slamming on the brakes. 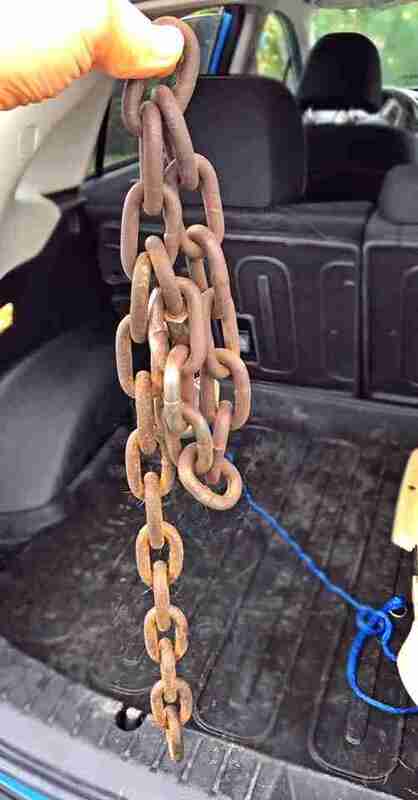 The dog was covered in mud, and Garza saw the huge rusty chain around her neck. 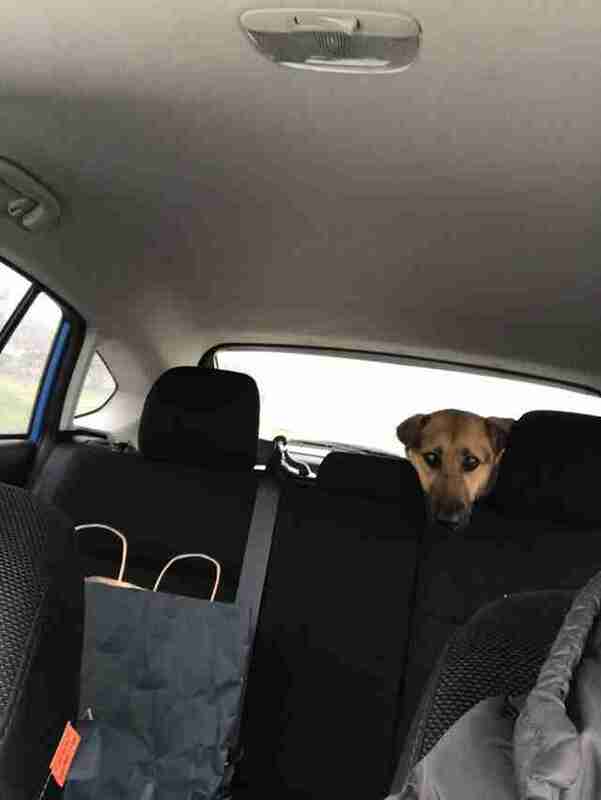 Garza still had her work appointment, and she also had her best friend’s wedding dress in her car, which couldn’t get dirty — but she knew she couldn’t leave without the dog, whom she assumed had been dumped by her former owner. “I’m like, ‘Oh lord, this dog is muddy. I have my friend’s wedding dress in the car. This could really go bad fast,’” Garza said. 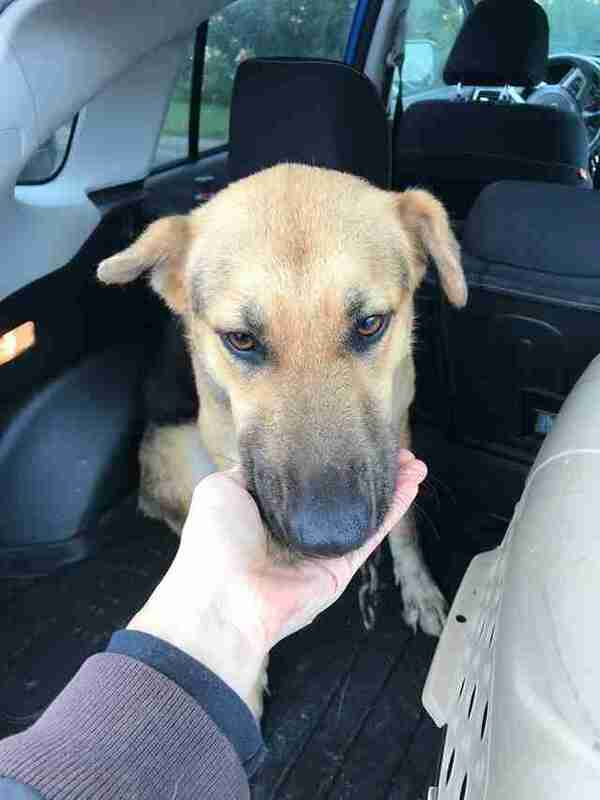 But Garza pushed her worries aside and coaxed the dog into the back of her car. Then she tried to take off the dog’s chain, which weighed about 20 pounds — but it was impossible for Garza to get off on her own. Garza drove onwards to her appointment, checking on the dog in her rearview mirror. 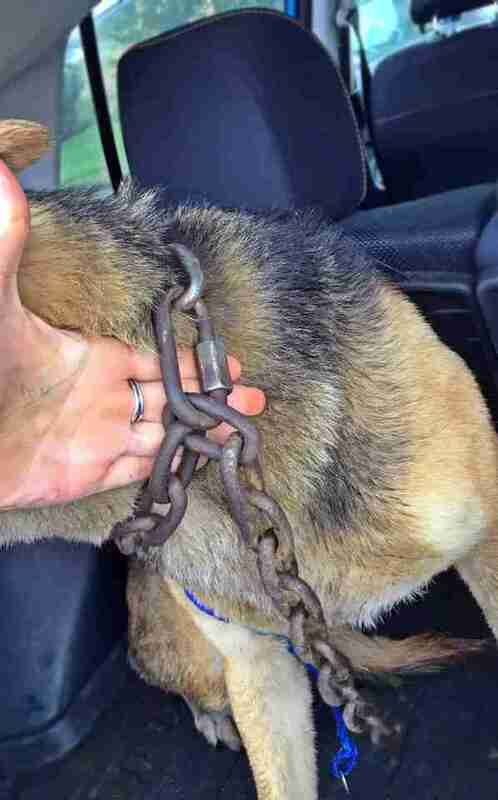 After her appointment, Garza drove to the house of her friend, Luz Guzman, and they worked together to get the chain off the dog’s neck. “I was thinking of using bolt cutters ... but we were able to slide it over her head,” Garza said. Guzman volunteered to foster the dog, now named Penelope, until Garza was able to line up a rescue group to take care of her — and Penelope has been thriving. 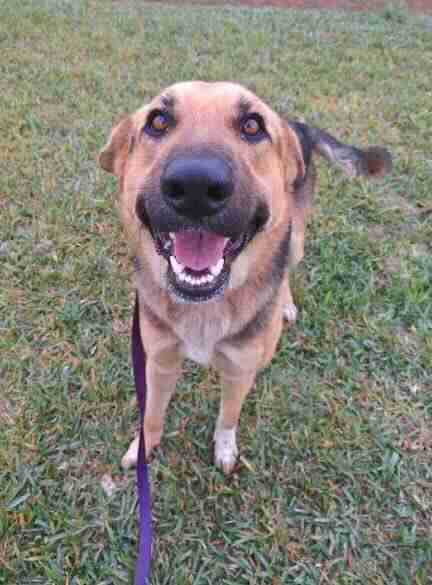 Garza hopes that Penelope’s story will encourage others to stop when they see a stray dog needing help. 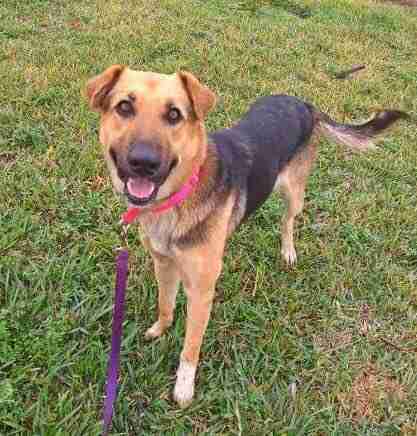 If you’re interested in adopting Penelope, you can contact Big Dog Haven.